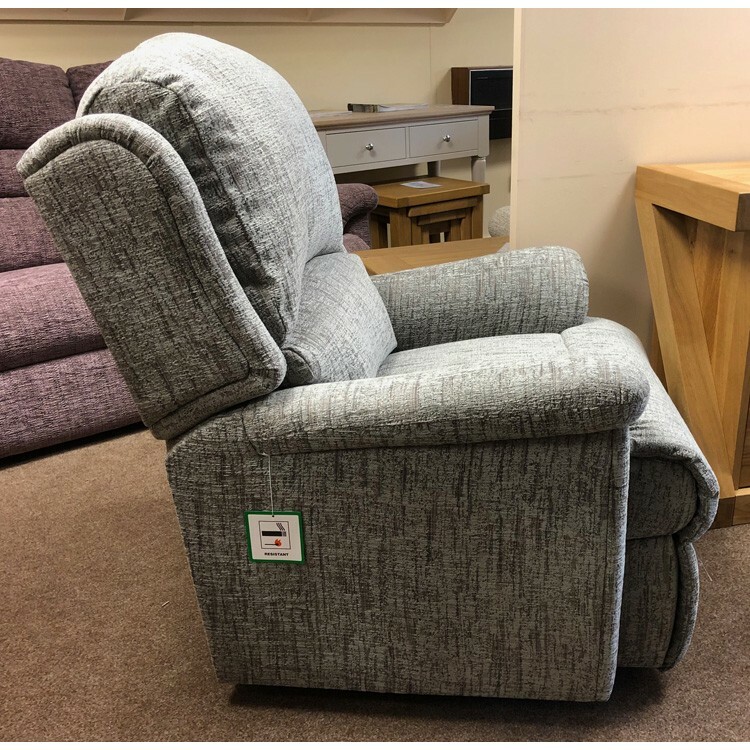 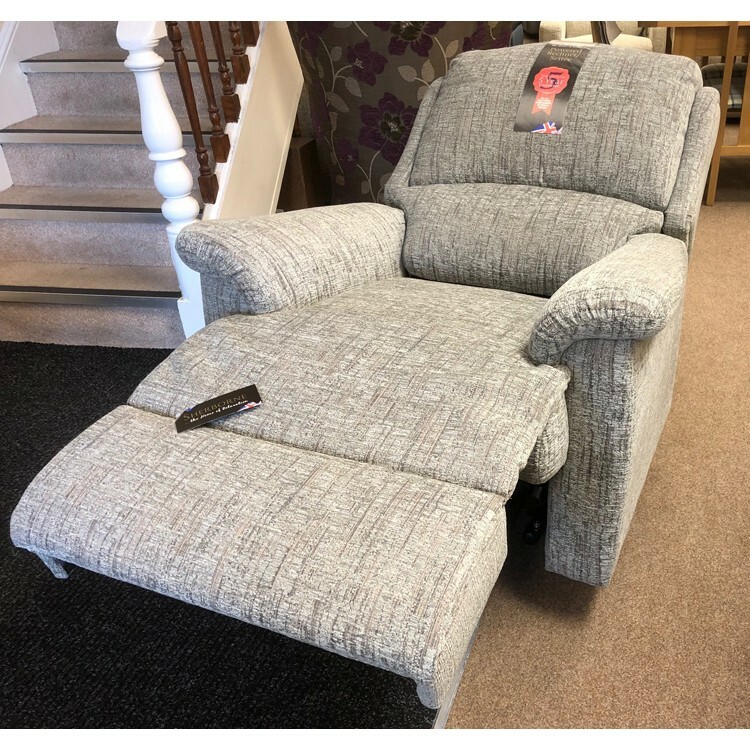 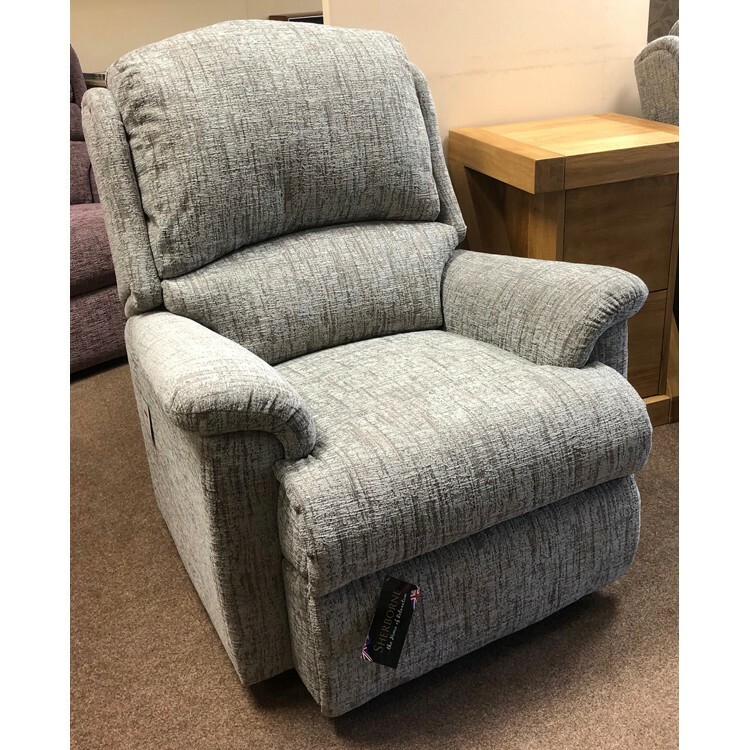 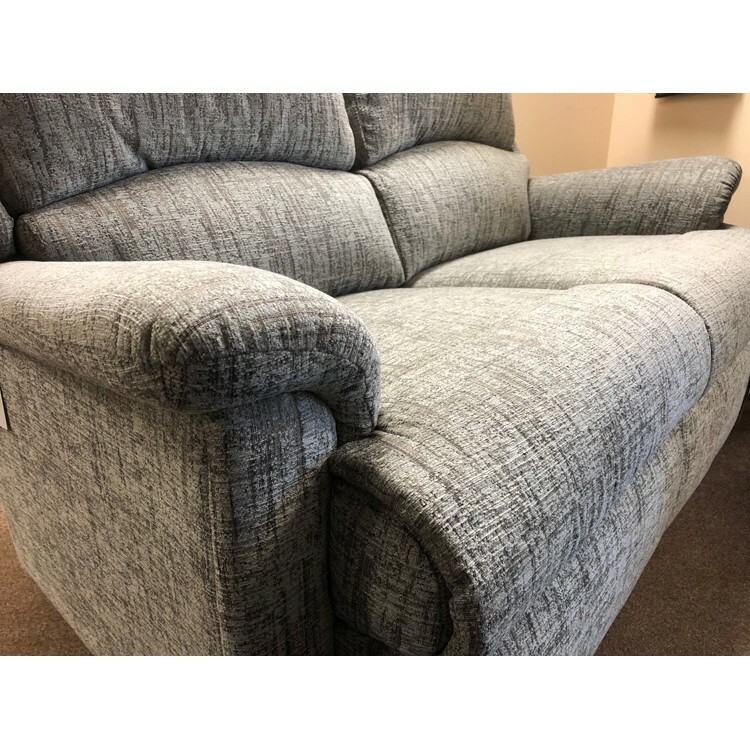 Sherborne Upholstery Virginia suite consisting of a 2 Seater sofa, Armchair and Powered Recliner - All these are the standard sizes. 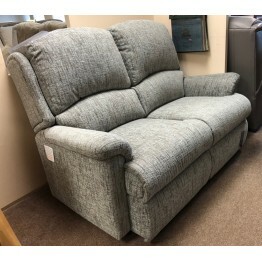 This suite has a great padded back for supreme comfort that supports the back of the shoulders and the head. 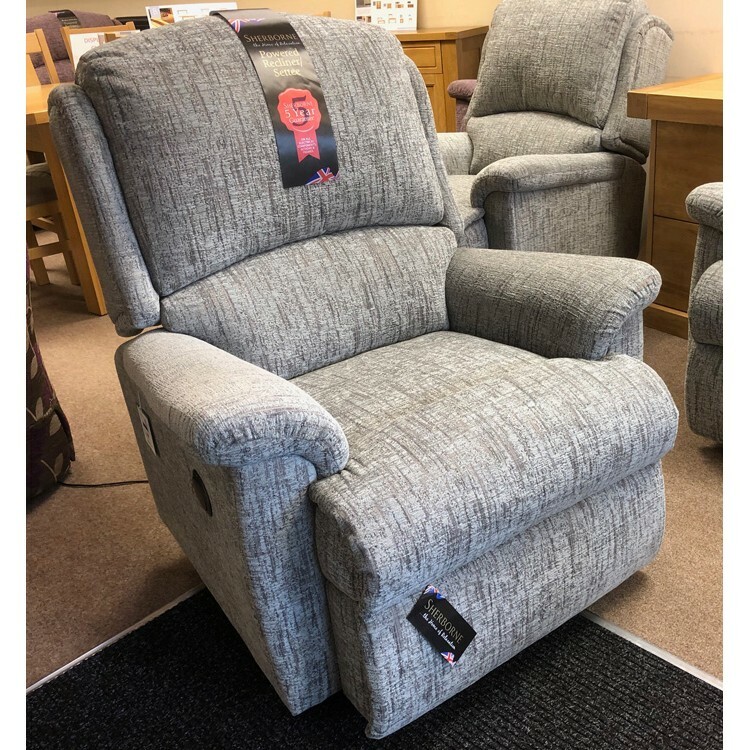 The whole suite is on casters but if you have a wooden floor these can be switched to glides instead. 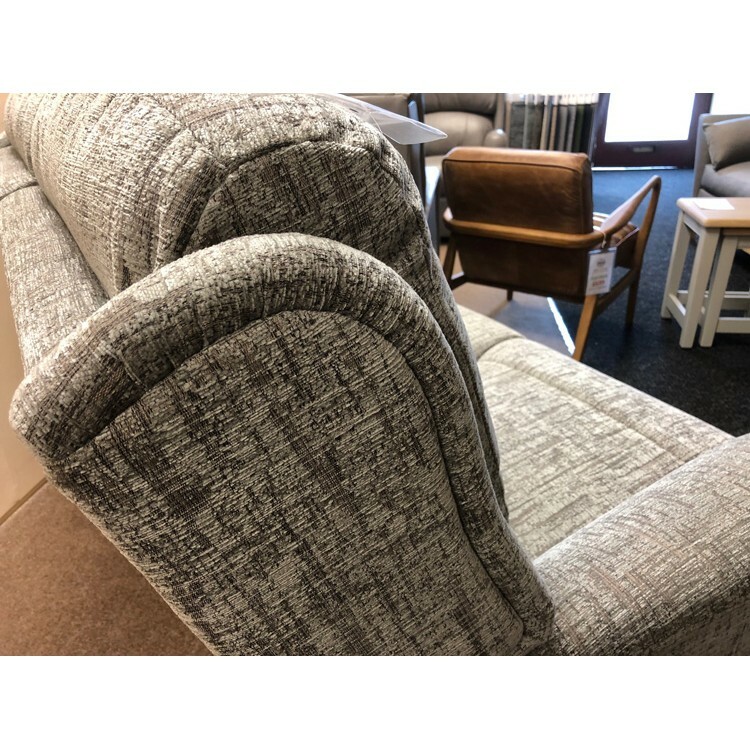 Fabric is "Cairo Grey" of which we can post a sample Sample available on request.